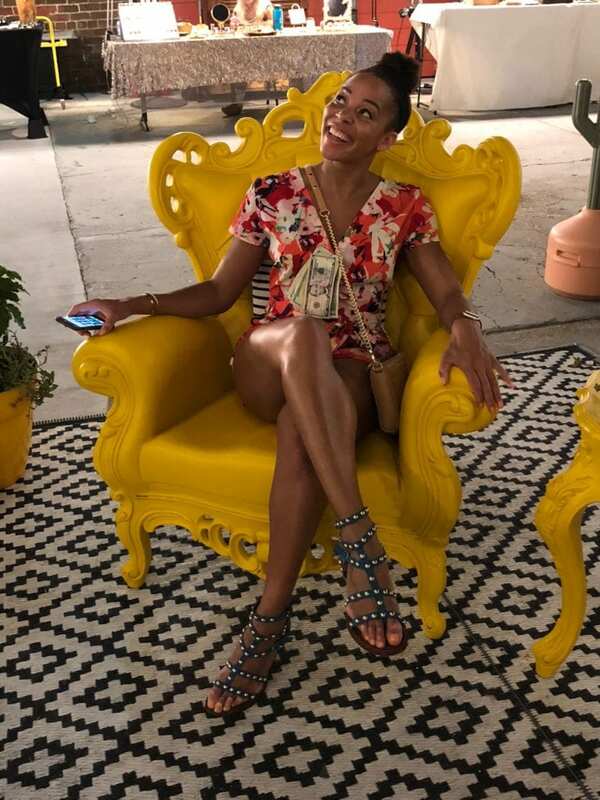 By Rockettes Danelle M. and Sam B.
e take at least one fun trip together every year—from Miami to Jamaica to Barcelona—usually with the purpose of laying in the sun and unwinding. But this year, we decided to go somewhere with a bit more on the itinerary. Enter New Orleans and The Essence Festival! Rockettes Sam and Danelle with dance students who attended the Rockettes Experience in NOLA. 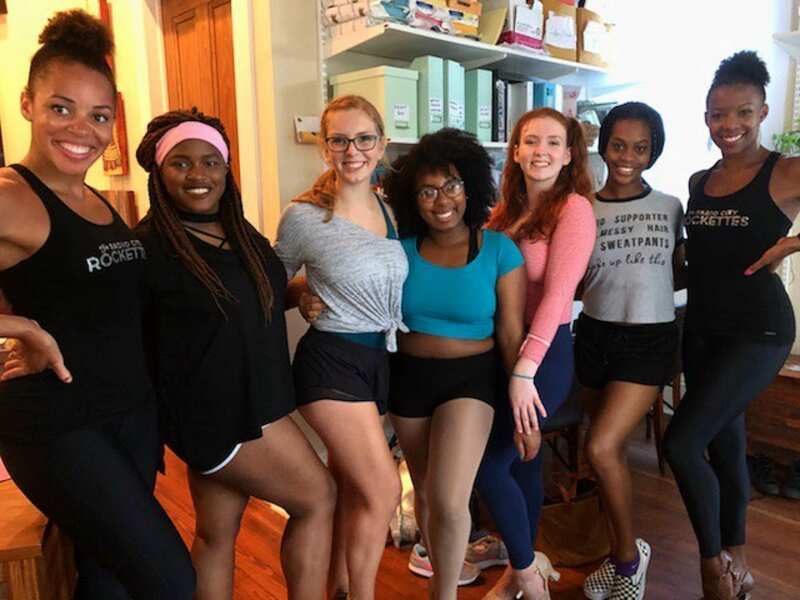 In the spirit of The Essence Festival’s community outreach, we were happy to offer a free Rockettes Experience at a lovely local establishment called Dancing Grounds, a studio for people of all backgrounds with a common love for dance. We were honored to teach local dancers from the city of New Orleans (a first for the Rockettes!) a bit of what we do. 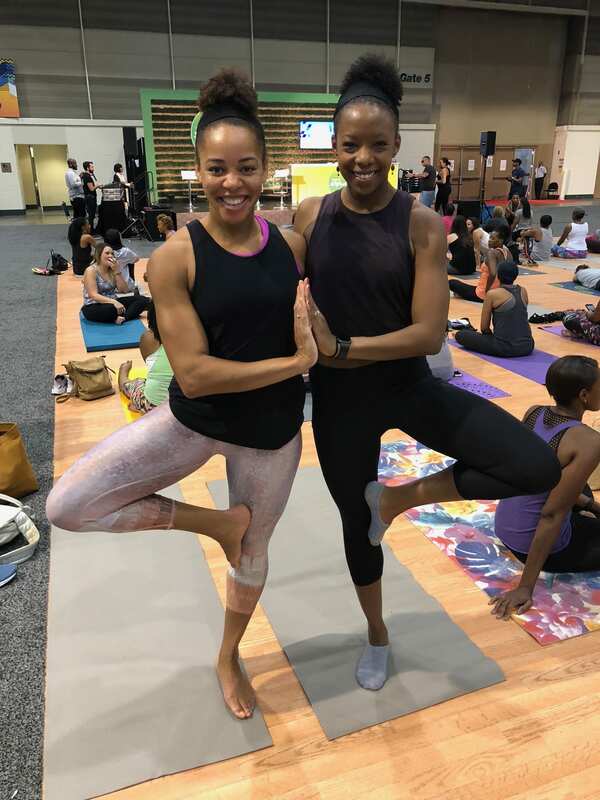 Rockette Sam (left) and Rockette Danelle (right) showing off their yoga skills at Essence Fest. As fitness girls, we couldn’t miss out on an opportunity to get our sweat on. It was so cool to participate in the Namaste & Slay class with women from all over the country, of all different ages and backgrounds. The best part? It was a silent disco! We jammed out to the tunes of DJ Davi with our fellow females while April Dupre of NOLA’s Footprints to Fitness led the workout. Rockettes Danelle and Sam got to watch some of their favorite artists perform on stage. Music is at the heart of NOLA, and we loved it; it’s a universal language that brings people of all walks of life together. We had the best time watching some of our favorite performers onstage at the nightly Essence Fest concerts: The Roots, Erykah Badu, Jill Scott, Miguel, Queen Latifah, Missy Elliot, Mary J. Blige and, get ready, Janet Jackson! What’s more? 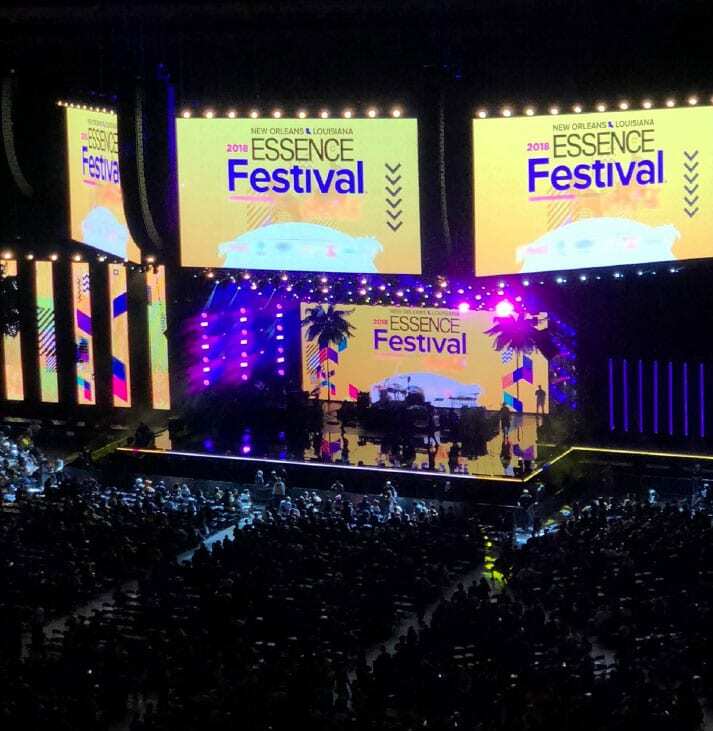 Between each act, Essence Fest took the time to highlight the community, showcasing local businesses and gifting them with financial support, as well as providing gift cards to audience members and even giving one lucky concert attendee a car! Rockette Sam celebrating her birthday in New Orleans, “cash corsage” and all! New Orleans is full of exciting traditions and history spanning the entire city. The most amazing tradition we encountered was on Samantha’s birthday. The concierge at our hotel informed us that it’s a New Orleans tradition to have a friend pin dollar bills to your lapel on your birthday, creating a cash corsage. Throughout the rest of the day, complete strangers were shouting “Happy Birthday!” or breaking into song and dance to wish Sam well on her special day. We felt like the entire city came together to celebrate! 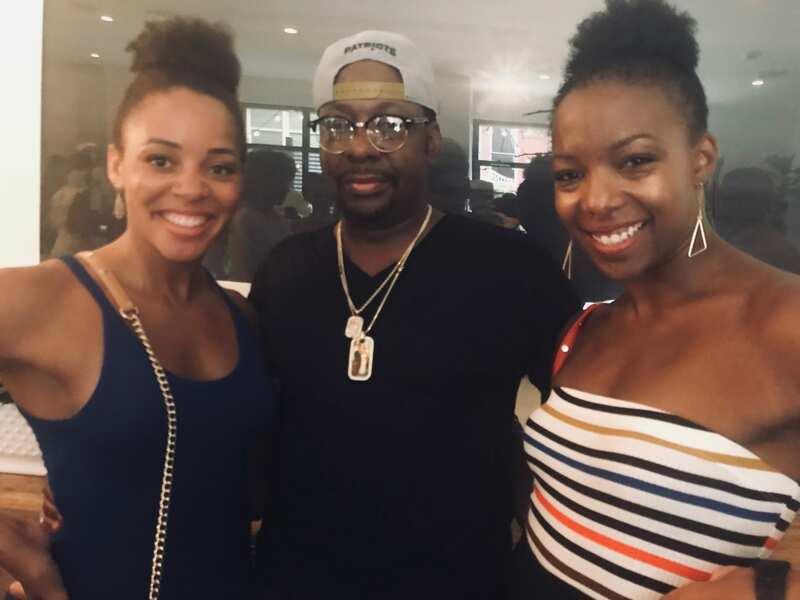 Rockettes Sam and Danelle with singer Bobby Brown (center). A hugely humbling experience for us in NOLA was something we dubbed the “Rockette Reach.” We heard so many personal stories from people all over the country about how special the Rockettes and the Christmas Spectacular are to them. From singer Bobby Brown (yes, THE Bobby Brown! ), to Essence Fest attendees, to up-and-coming dancers, we realized that there is something so special about what we do. We were proud to represent the Rockettes in NOLA and we are forever thankful to the entire team at Essence for bringing together so many amazing people and empowering our minds, bodies and souls.